Many travelers pay too much for visitors insurance when they could be saving money on their policy premium. 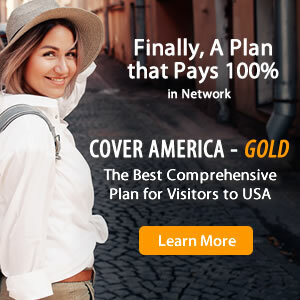 You can still buy a quality visitors insurance plan with all the travel medical coverage you need while keeping the cost low. 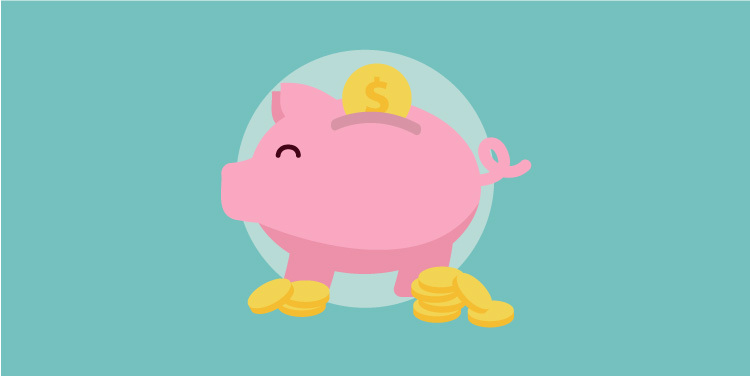 These money saving tips will help you avoid overpaying for your policy and keep your visitors insurance cheap. 1. Don’t Buy Visitors Insurance From Travel Booking Sites. Some travel booking engines will try to sell you visitors insurance with your reservation at an extra cost. Although this may seem like a convenient way to buy visitors insurance, it is not your best option. Policies sold through travel booking websites tend to be more expensive than those sold through travel insurance comparison sites and may not have quality coverage. You are better off purchasing a policy from the insurance company or a comparison website so you can compare different coverage, benefits, and premium costs. 2. Don’t Over-Insure Your Trip. The higher coverage amount or policy maximum you choose, the more expensive your premium will be. Avoid over-insuring by researching how much coverage you really need. For example, some policies offer $2 million in emergency medical evacuation coverage, but you realistically may not use more than $500,000 in such situation. Research the medical costs of your destination so you don’t end up purchasing more coverage than you could realistically use. Also, don’t insure trip costs that are refundable. You should only insure pre-paid and non-refundable trip costs. It is unnecessary to insure any costs that will be refunded if cancelled. Doing so will only raise the cost of your visitors insurance premium. 3. Don’t Opt for Additional Coverage Options You Don’t Need. Most travel medical insurance plans offer additional coverage options. While some may be useful to you, others may be unnecessary. For example, you can choose to get a “cancel for any reason” option when your trip cancellation coverage already has a list of covered reasons. Unless you really think you may need to cancel your trip for reasons other than those provided, the cancel for any reason option may be an unnecessary extra cost. 4. Choose Multi-Trip Over Single Trip Insurance. If you travel frequently, purchasing a multi-trip policy might be more economical than purchasing multiple single-trip insurance policies throughout the year. Multi-trip insurance plans offer similar coverage to single trip policies, but their coverage applies to multiple trips taken during any given calendar year. Depending on the number of days each of your trips lasts, you may be able to save money by purchasing multi-trip insurance rather than a single trip policy each time you travel. 5. Choose the Right Deductible. The deductible you choose for your visitors insurance policy could affect your premium cost. For example, if you are buying a comprehensive visitors insurance plan with an annual deductible, selecting a higher deductible could give you a lower premium cost. With a limited coverage plan, you may save more by selecting a lower deductible. Know how to choose a deductible so you don't end up overpaying for your premium cost. If you are on a budget, you may want to consider a limited coverage plan. Although limited plans offer less protection than comprehensive coverage plans, they might work for you depending on your insurance needs. Learn more about limited vs. comprehensive plans. A quality visitors insurance policy doesn’t have to cost you a fortune. If you are buying visitors insurance, you can get an affordable plan by researching and comparing your options. You’ll be glad you compared plans when you find a reasonable visitors insurance policy that fits all your trip needs at the right cost. To compare plans, get a quote or purchase a policy, visit VisitorsCoverage.